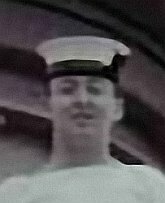 Sadly I post an entry for another ex crew of HMAS Voyager, Len "buck" Rodgers who crossed the bar Friday 8th January aged 75 years. Len was a ex Queenslander born in Barcaldine on 5th Feb 1940 and enlisted in the RAN on 26th October in Brisbane. He joined as a Rct/TO for a period of 9 years. His first sea draft was HMAS Voyager in late 1960 and stayed with her until mid 1962. Buck served in the following HMA Shops and Bases: Cerberus, Moreton, Voyager, Kimbla, Watson, Kuttabul, Waterhen, Teal, Derwent and Hobart. Len will be very much missed by family and friends as well as the V. Vets groups. Our condolence to family and friends in their hour of need on behalf of the Voyager and Naval Community. It is with very sad feelings that I have to advise of the passing of Ex LTO Len “Buck “Rodgers . I received also a phone call from Ex Yeo Alfie King advising of the same. Buck was a great hand, and from what I can remember, he served on HMAS VOYAGER ( Commissioning crew) , HMAS TEAL (Indonesian Confrontation) HMAS HOBART Vietnam, and who could forget the way he ran the MHR at HMAS KUTTABUL Comcen. He will be sadly missed by all that served or knew him. Crematorium Broulee Road (runs off princes highway to ocean, the turnoff is about halfway between Mogo and Moruya), on Friday 15th Jan, commencing at 1500K. A large turnout of old shipmates is expected as well as the local V.Vets. 3 of us off the Voyager that shipped with Buck in 61.